There is nothing quite like a weekend getaway to put the magic back into your romance or to celebrate a special moment or anniversary. The following resorts and destinations have been hand-picked for their romantic ambiance, magical locations, luxurious accommodation, and dedicated romantic packages – choose your favorite part of the country and get set for a wonderful romantic weekend getaway. 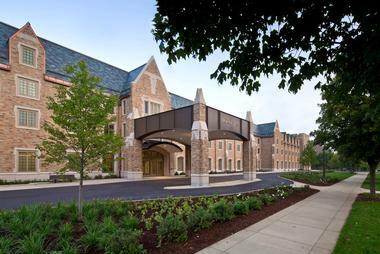 The newly renovated Morris Inn is located on the expansive campus of the University of Notre Dame, close to South Bend, Indiana – a great destination for a romantic weekend escape. You can choose from several romantic accommodation options to suit your budget – even the standard rooms offer everything you need for a pampered weekend away, including premium bed linens and up-market toiletries. You can treat yourself to a show at the Morris Performing Arts Center or the DeBartolo Performing Arts Center or watch the Notre Dame Fighting Irish Footballers in action on campus. There are several excellent dining venues on site where you can enjoy anything from fine food and wine pairing to light meals and craft brews. Set the scene for a memorable weekend getaway by checking into Denver’s most historic hotel, located in Lower Downtown, one of the city’s most trendy locations. 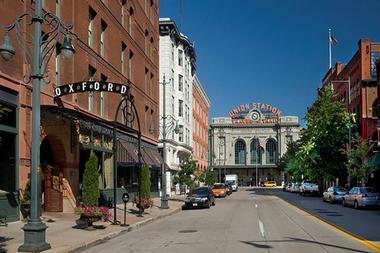 The lovely Oxford Hotel, which dates back to 1891, combines old and new features to ensure a stylish and sophisticated base for couples wishing to explore all that Denver has to offer. 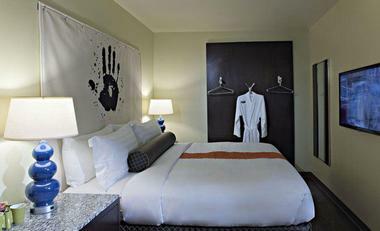 You can choose one of several interesting hotel packages, which are carefully designed to help you make the most of your getaway – the Vintage Romance Package includes cocktails and other surprises while the Historic Denver Package or the Denver Art Package will appeal to art-loving couples. 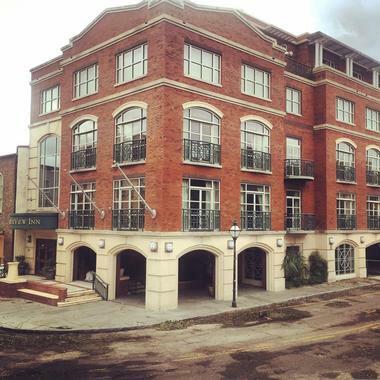 After a busy day of exploring you can return to the Oxford for a romantic dinner at the Urban Farmer restaurant. 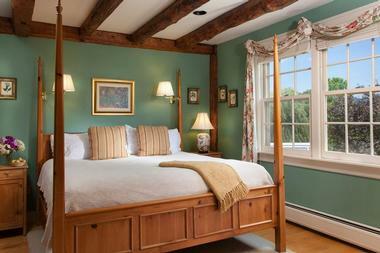 At the Inn at Round Barn Farm in Vermont the romance starts the moment you step inside. Imagine curling up beside a cozy log fire as you sip champagne and plan your weekend entertainment. Several of the rooms at the inn feature private whirlpool tubs and all have large comfortable beds with top-quality linens and toiletries. 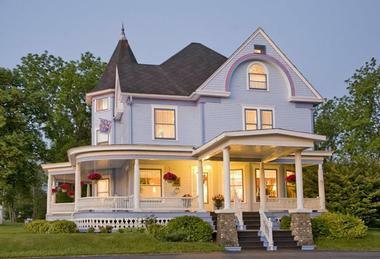 The Inn at Round Barn is perfectly located for you to spend a romantic weekend exploring Vermont’s Mad River Valley – you can look forward to enjoying exceptional farm-to-fork meals, hiking through some beautiful Vermont scenery, or simply relaxing in the inn’s beautiful landscaped gardens. The inn offers great seasonal and romance packages, including all manner of romantic treats to set the scene for your weekend getaway. A member of the acclaimed Relais and Chateaux group, the superb L’Auberge Carmel hotel in lovely Carmel-by-the-Sea offers the last word in luxury and romance for that very special weekend. So that you don’t have to worry about a single detail, the hotel offers the delightful Romance Package, which includes two nights accommodation in one of their signature rooms, a wonderfully pampering 60-minute couple’s massage, and a food and wine pairing dinner to remember. Look forward to spending your days exploring the beautiful coastline of Carmel-by-the-Sea and Monterey Bay or visiting the many art galleries and boutiques. Wine lovers can follow the Monterey River Road Wine Trail, while nature lovers can head to the Point Lobos Natural Reserve for hiking and wildlife watching. You can plan a romantic escape to the countryside and be treated like royalty at the Castle in the Country Inn near Allegan, Michigan. Set in two delightful period buildings on a 65-acre estate, the Castle in the Country is the last word in romantic elegance, and each of the themed rooms and suites offers luxury extras like whirlpool tubs, cozy fireplaces, and soft robes. If you visit during the summer, you can go walking, hiking, and kayaking on the estate while in winter you can explore with snowshoes. The castle offers a range of romantic packages, which can be tailored to suit your every desire – think pampering spa treatments, dinner vouchers, in-room breakfasts, and much more. The Sleeping Lady Mountain Resort is an ideal choice for a romantic weekend getaway for couples who enjoy getting back to nature without sacrificing any home comforts. Set in the lovely Leavenworth Valley in Washington, the area offers many activities for you to enjoy, including hiking, biking, golf, river rafting, skiing, and snowshoeing as well as wine-tasting tours, dining, and shopping. 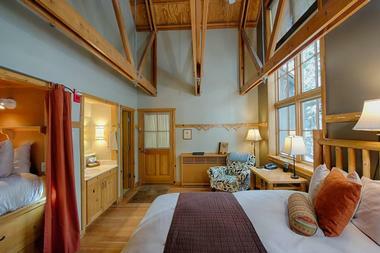 You can catch a show at the Icicle Creek Center for the Arts or the Leavenworth Summer Theater or simply stay on site and enjoy a day of relaxation and pampering at the spa. The resort offers a variety of enticing packages to suit all interests, including a birding package, hiking package, and yoga package as well as several special winter package treats. 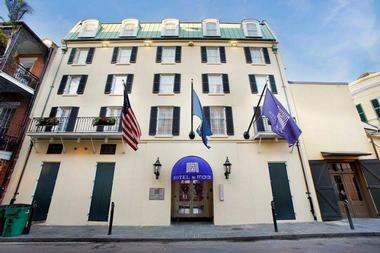 Located less than a block away from the vibrant nightlife of New Orleans’ famous Bourbon Street, Hotel le Marais offers the ideal location for a romantic getaway weekend. Le Marais is a chic and sophisticated boutique hotel that has the perfect ambiance for romance – get your weekend off to a great start with a complimentary drink or cocktail in the Vive! 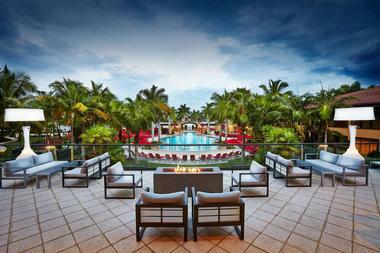 cocktail bar or sit outside in the courtyard beside the heated saltwater pool and plan your weekend. The accommodation at Le Marais is all you would expect from a boutique hotel, offering stylish plush rooms, large comfortable beds, complimentary robes, and upscale toiletries. To make planning easier, the hotel offers lovebirds a special Romantic Rendezvous package that includes several treats. The fabulous Lake Tahoe Basin has long been a favorite destination for couples looking for an active weekend getaway, and Base Camp Tahoe City offers affordable boutique accommodation to set the scene for romance. The hotel has great views of Lake Tahoe and a variety of comfortable rooms with a rustic theme, including a tented option if you’ve always wanted to go camping but still enjoy your home comforts. You can easily walk to just about everywhere in Tahoe City and the fire pit deck is a great spot to watch the sun rise or set over the lake. The staff at Base Camp has a reputation for ensuring each and every guest has a great Lake Tahoe vacation. If you think traditional hotels are too boring for words, try checking into the Acme Hotel for a trendy and romantic weekend in Chicago. Acme Hotel is a new breed of hotel that caters to today’s technologically advanced traveler, offering modern rooms that perfectly blend comfort and hi-tech style – expect all the gadgets including PC hook-ups, wireless audio systems, and the fastest Wi-Fi in town side by side with Egyptian cotton linen and comfy robes. As for romance, Chicago has something for everyone – try hiking or jogging the 606 elevated trail, rent a Divvy (local blue rental bicycles) to explore the city, or hit the cool waters of Lake Michigan on a rental jet ski or kayak. Finally, wind down for a romantic meal at Eataly, Chicago’s brilliant Italian food zone, before sampling the city’s vibrant music scene. 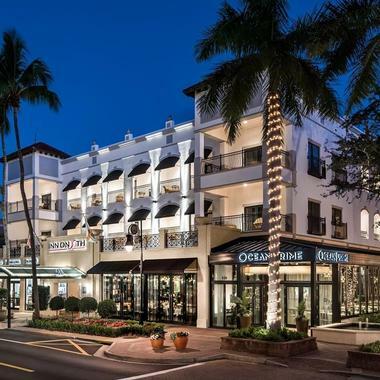 Located just a few minutes from the beach and surrounded by the upscale shopping, dining, and entertainment venues of Fifth Avenue South, the Inn on 5th is a perfect destination for a romantic getaway in Naples, Florida. The stylish Inn on 5th boasts a great rooftop pool where you can soak up the sun, while the Spa on 5th is perfect for a romantic couple’s massage to set the scene for your weekend. The stylishly appointed rooms and suites are ideal for a special getaway occasion and the Inn on 5th makes it really easy to plan your getaway by offering a variety of special packages, which include indulgent treats such as sumptuous dinners, spa experiences, and much more. What could be more romantic than checking into Santa Fe’s oldest hotel, located just one block from the city’s historic Plaza? 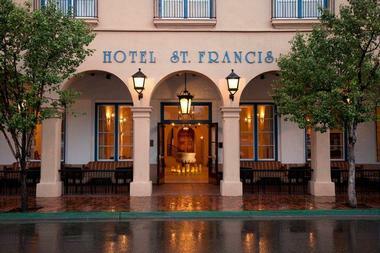 Hotel St. Francis oozes New Mexico ambiance and celebrates the story of St. Francis’ journey through the country. 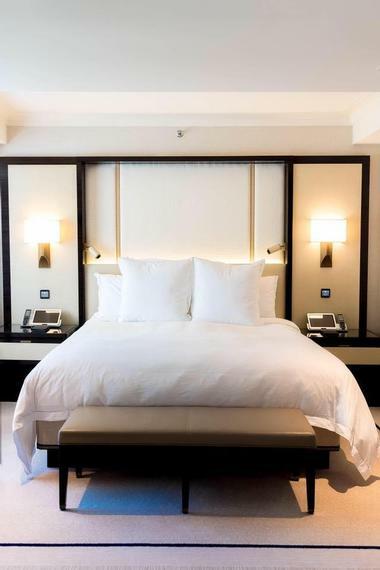 You will find that the rooms perfectly combine old and new aspects, featuring artisan-made wooden furnishings combined with the modern luxury of Frette linens and hand-made décor. You can watch the world go by as you sip a cocktail out on the Loggia Patio before enjoying a delicious dinner at the Tablos de los Santos restaurant. 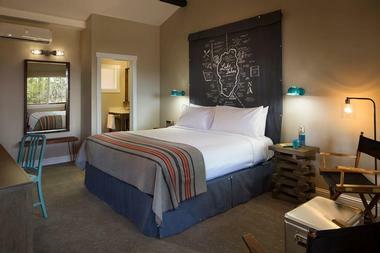 The hotel offers wine tasting at the Gruet Santa Fe Tasting Room and free guided Santa Fe walking tours. Located near famous Harvard University and MIT, the Charles Hotel in Cambridge is an ideal romantic getaway destination close to Boston. You can look forward to spending your days exploring historic Harvard Square and feasting your senses at one or more of Boston’s acclaimed museums and galleries. For relaxation, you can book a romantic couple’s massage at the Corbu Spa. As the sun sets, you can enjoy cocktails at Noir, followed by a romantic dinner at Benedetto’s, and an awesome night of jazz at the Regatta Bar. 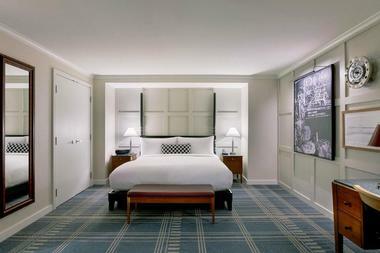 The Charles makes it easy to plan your romantic weekend by offering the Suiteheart Romance Package. 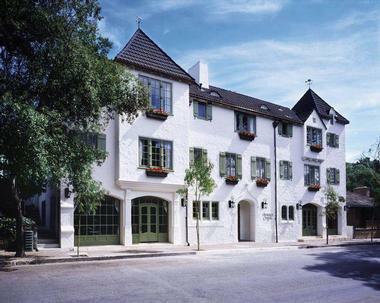 Historic Charleston features on many getaway wish-lists, and the lovely Harborview Inn is an ideal base for a romantic weekend escape. Set the scene for romance by booking one of the inn’s delightful Historic Rooms, which feature four-poster beds, luxury linens, and hand-crafted furnishings. You can borrow a bike on site to explore the city, and the hotel offers a variety of special treats, including a wine and cheese reception (daily from 5pm to 6pm) and milk and cookies from 9pm to 10pm. The Rooftop Bar overlooking the harbor is an ideal spot to have an evening cocktail before you step out to enjoy the vibrant Charleston nightlife. Choose the delightful Roses and Carriage Package or the Champagne and Sailing Package to put the cherry on the top of your romantic getaway. At the PGA Resort and Spa in Palm Beach Gardens, you can treat your partner to a one-of-a-kind romantic weekend getaway surrounded by no less than five championship golf courses and a state-of-the-art spa. The resort has a whole list of wonderful packages to choose from and is certainly not just for golfers – although if you are a golfing couple you will be in for a particular treat. Non-golfers can spend their days luxuriating in the mineral-rich Waters of the World pools and experience a range of pampering spa treatments. When the sun sets, the resort offers a variety of romantic cocktail and dining options before you retire to your luxury room, suite, or cottage. 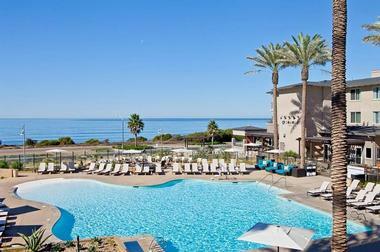 What could be more romantic than spending your weekend getaway at the edge of the Pacific Ocean in Northern San Diego? The Cape Ray is a Hilton resort set on the beach just steps from the water, offering couples a wonderful base for relaxing and unwinding by the sea or exploring all the attractions of greater San Diego. The resort can arrange a variety of water sports, including sailboat cruises, paddle boarding, kayak excursions, and snorkeling expeditions, or you can simply relax on the beach or be pampered at the on-site spa. Romantic sunset walks, beach horseback riding, and innovative California cuisine at Chandler’s Restaurant complete the picture. When you absolutely need to escape the city and lose yourselves in a romantic couple’s retreat destination, head for Serenity Springs near Michigan City. The resort is ideal for romantic weekend getaways at any time of year – if you visit during the summer, you can spend your days enjoying catch and release fishing, walking and biking (bikes are available on site) or romantic horse-drawn carriage rides. 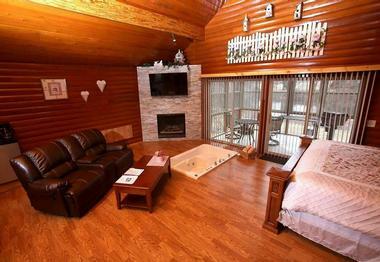 In winter, the emphasis switches to snowshoeing, sleigh rides, and cuddling up around the fire. Each of the private cabins comes equipped with all you need to relax and re-connect, including a fireplace, sunken whirlpool tub-for-two, premium bedding, and in-room wining and dining options. Outside the resort you can visit wineries, breweries, beaches, museums, and much more. 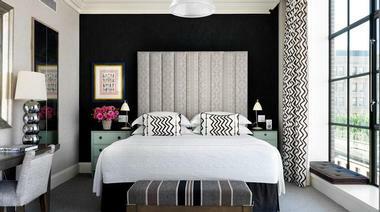 The utterly romantic neo-Gothic Joule Hotel is a stylishly revitalized 1920s landmark in downtown Dallas. From the moment you step into the lobby, you will be blown away by the sophisticated ambiance and attention to detail, which sets the scene for your romantic weekend escape. The rooms are all conducive to romance, offering superior linens, toiletries, and other little luxuries – for an extra special treat book a fabulous penthouse suite. Other pure luxuries include the basement-level spa and wellness studios. 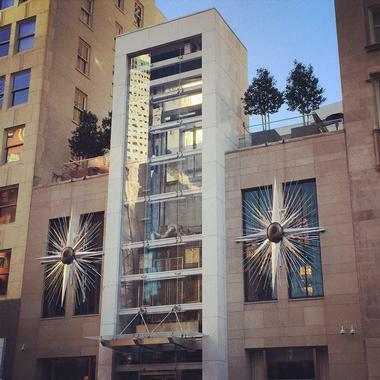 The Joule offers several acclaimed on-site dining and cocktail venues, an eclectic art collection, and several shopping options – you may never feel the need to set foot outside. 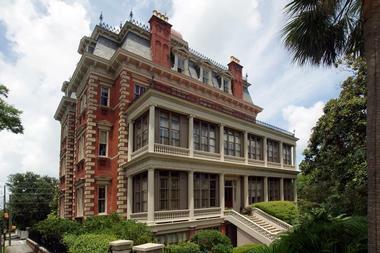 You can experience the very essence of historic Charleston when you book into one of the city’s grandest historic mansions, now dedicated to providing guests with a romantic escape. Originally a sumptuous private home, Wentworth Mansion combines all the romantic elements of yesteryear (crystal chandeliers, hand-carved marble fire places) with luxurious modern amenities, including oversized whirlpool tubs, walk-in showers, and gas fireplaces. After a busy day of exploring marvelous Charleston, you can return to the mansion to enjoy a complimentary port, sherry, or brandy or an afternoon wine and hors d’oeuvres or spend a relaxing hour or two at the spa. 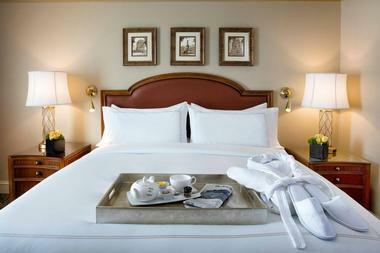 The Nights of Romance or Wine and Food Gourmand packages are available to add the final touch. Appealing to both outdoor enthusiasts as well as culture vultures, Indianapolis is a popular destination for a romantic couple’s weekend. The Conrad Indianapolis provides an excellent base for your Indianapolis adventure and to ensure that you make the most of every moment of your stay the hotel has put together a variety of city itineraries based on the amount of time at your disposal. After you have spent an exciting day walking the famous Indianapolis Cultural Trail (bicycles are available from the concierge if you prefer to cycle) and visiting White River State Park, you can return to the Conrad, where a haven of tranquility awaits you. Spend an hour or two unwinding at the spa or the gym, sample some local wines at Tastings, or dine in style at the Capital Grill. New York City is doubtlessly one of the most exciting destinations for a romantic weekend getaway, offering attractions and entertainment for every taste and interest. Get your well-deserved getaway off to a flying start by checking into the Crosby Street Hotel in the heart of bustling SoHo, where you will be just steps away from some of the world’s most desirable galleries, shopping, restaurants, and entertainment venues. If your budget allows, you can book one of the hotel’s very luxurious signature suites, which are the last word in romantic luxury. After a busy day of exploring the streets of New York, you can sip cocktails alfresco at the Crosby Bar or enjoy a pampering session at the spa. Active days and romantic nights – the Grand America Hotel in Salt Lake City is the ideal desert location to experience both romance and fun. The hotel is ideally located close to many of Utah’s most exciting cultural and artistic venues and is less than an hour’s drive from several national parks, ski resorts, golf courses, and much more. After a busy day of exploring the great outdoors or visiting galleries and museums, you can look forward to returning to a haven of stylish luxury, where you can relax around the pool, enjoy a pampering spa treatment, or sip a cocktail at one of several bars and dining options. For that very special romantic weekend break in Chicago, the Peninsula Hotel offers couples more than just a beautiful room – your room key is your ticket to a host of special offers to enhance your visit. 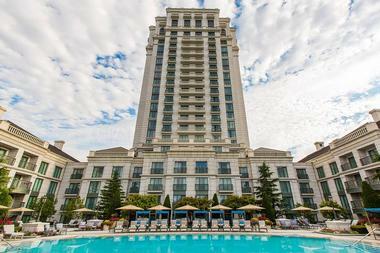 Peninsula guests are offered Fast Lane passes to various top attractions, and all event seats booked through the concierge desk will entitle you to extra little luxury touches. You can further enhance your weekend by booking one of the Peninsula’s signature packages – gourmands will love the Pierrot Gourmet Monthly Dinner Packages (check available dates online) while hedonists can book one of several pampering spa packages and lovers of the arts can book a fabulous night of theater with a Hamilton Nights Package. Possibly the most romantic hotel in all of Las Vegas, the spectacular Bellagio is the ideal place to take your partner for a special weekend getaway. 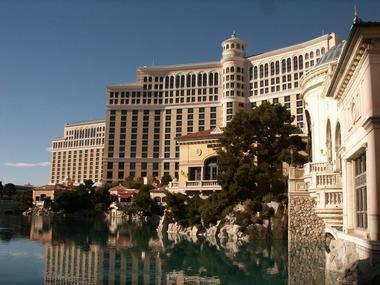 Start your Las Vegas experience by sipping cocktails as you watch the amazing Bellagio Fountain Display from the comfort of your seat in Hyde, the hotel’s indoor/outdoor nightclub. Even the smallest rooms at the Bellagio are romantic, boasting cashmere top mattresses, mood lighting, automatic drapes, and wonderful views. By day you can relax around the enormous pool, where you can enjoy a poolside massage or alfresco dining in a private cabana, visit the Bellagio Gallery of Fine Art, or stroll through the stunning conservatory and botanical garden. By night you can choose from an almost unlimited variety of world-class shows and entertainment options.